AT-RISK CHILDREN & YOUTH We invite you become a tutor and join us in helping these children reach their goals and break out of the cycle of generational poverty. CHILDREN’S MINISTRY Through participation in our Kids’ Clubs, you can have a life changing impact on children living without hope. SPORTS MINISTRY Bring your passion for sports to San Jose, Costa Rica and reach out to the at-risk and impoverished youth. MEDICAL CLINICS Join us in Costa Rica and help meet the medical needs of the poorest of communities. DENTAL CLINICS If you are a dental hygienist, giving a month or two of your life can help expand the ministry capacity of the clinic and reach more people in need. COMPUTER SKILLS TRAINER Come join us in the neediest areas of San Jose and teach computer skills to Costa Ricans and Nicaraguan refugees living in poverty. ADOLESCENT GIRLS’ HOME Give one year of your life to serving hurting and hopeless young women through programs, Bible studies, and mentoring. 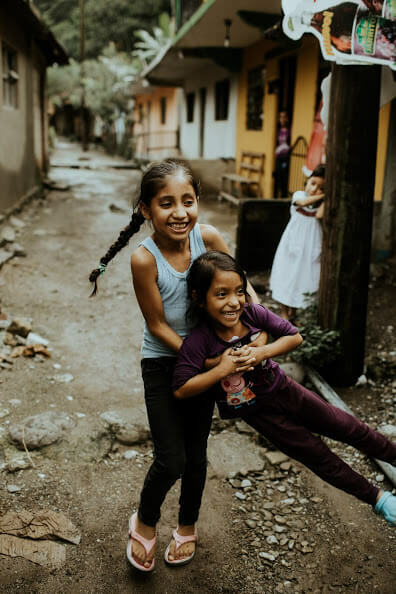 MISSION TEAM RECEIVER If you have strong Spanish skills and a desire to develop your leadership abilities, come spend your summer with us in Costa Rica helping our staff in preparing for and receiving teams.